In an out-of-this-world coincidence, Venus (the planet) gave Venus in Fur (the play) a run for its money yesterday, pulling in gigantic audiences in New York City just a few days before the Tony Awards. 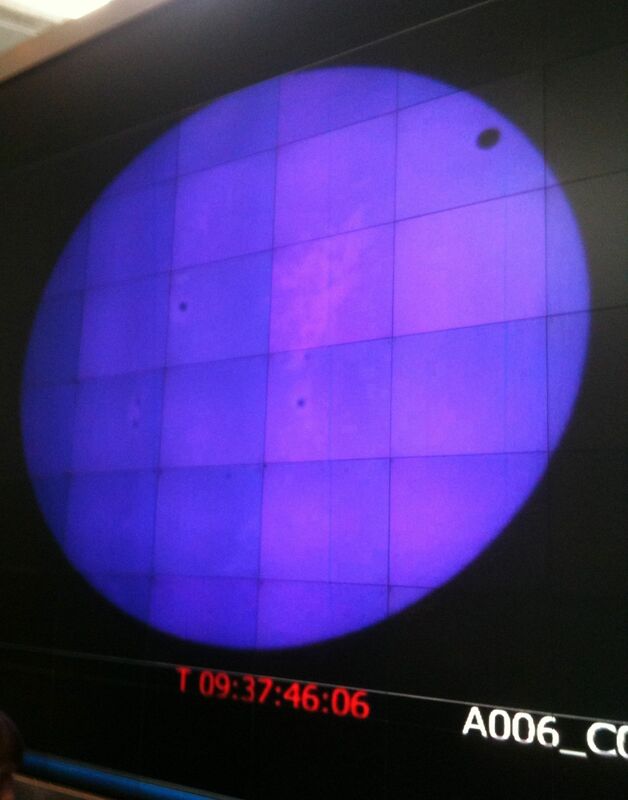 On an intermittently cloudy day, crowds flocked to the Hayden Planetarium (AMNH) to watch Venus (the planet) begin its stroll across the face of the Sun via the NASA feed projected on the giant screen in the Cullman Hall of the Universe. Venus put on similar shows in 1882 and 2004. Hundreds of science geeks heard astronomer Steve Bayer interpret what they were seeing on the live simulcast generated from Hawaii’s Mauna Kea Observatory. Venus (the planet) appeared as a tiny dot at the “8 o’clock” position on the Sun’s disk and kept on moving across until well after midnight (like the movements of Tony Award and theater attendees). 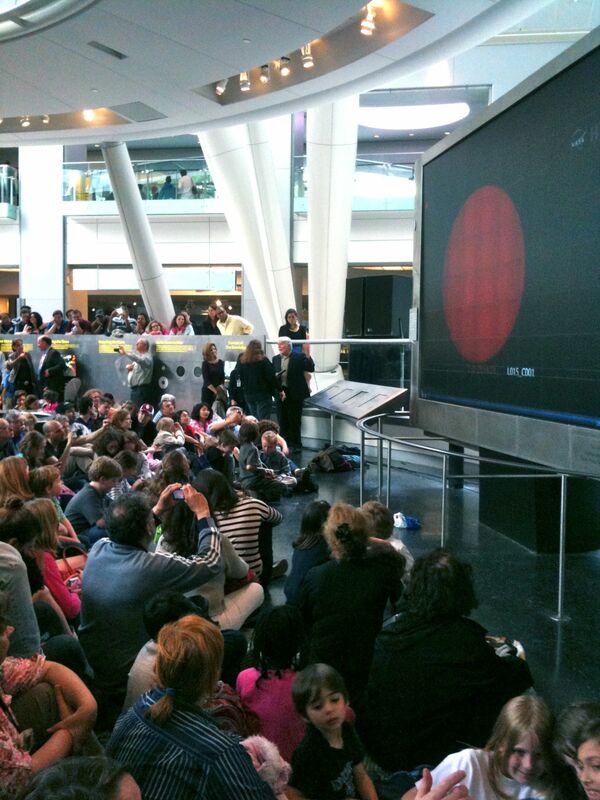 The AMNH cut the live feed around 7pm, but not before the planetarium paparazzi snapped photos of the disk, and the diminutive moving Venus dot with and without friends, families, and kids in front of the giant screen to commemorate this once-in-a-lifetime event. Check out the photos. Our only questions are 1) will Venus in Fur favorite Nina Arianda get similar attention at the Tony Awards next Sunday a few blocks south at the Beacon, and 2) will you see Venus in Fur before it completes its Broadway transit in two weeks? This entry was posted in Art, Museums, Nature, Theater and tagged culture, museums, nature, science, theater by mssusanb. Bookmark the permalink. Hi, Susan! Nice meeting you at WordCampNYC today. Your blog is *gorgeous* and beautifully written. I will share it with everyone I know. I hope you’ll start a weekly newsletter or start sharing on Twitter 🙂 I would like a “push” way to keep track of your posts. Kirsten, thanks for the note. You are an inspiration and I’m definitely going to implement your suggestion! Loved meeting you!